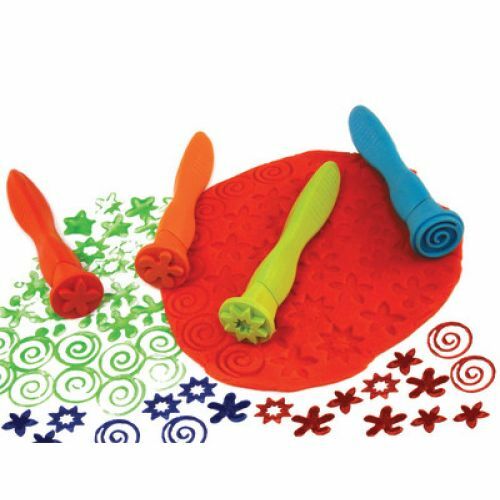 Each stamper has a rubber handle that conforms to a child's finger for easy holding. Builds motor skills while having fun making pictures with paint or clay. Perfect for special needs children. This set includes four different designs: flower, spiral, splash, & star.